TAMPA, Fla./ NEW ORLEANS, La. – The Rock ‘n’ Roll Marathon Series® announced today its new Run Club Program which was officially launched at the Road Runner’s Clubs of America (RRCA) National Convention held in New Orleans, Louisiana. The Rock ‘n’ Roll Marathon Series Run Club Program™ has been created to help build and foster the great community that exists within the running industry while encouraging new athletes to join the sport. The program encourages friendly competition, engagement throughout training, positive race experiences, and community building both within individual clubs and throughout the broader running population. The Run Club program also provides an opportunity for individual runners to request to be a part of an existing team or the ability to create a club of their own by recruiting new members. All members of registered Run Clubs will have exclusive access to discounts and on-site benefits for Rock ‘n’ Roll Marathon Series events in addition to training programs, social communities and special experiences. Run Clubs that take part in the program will be rewarded with special perks and engagement opportunities throughout the year and during Rock ‘n’ Roll race weekend. Some of the benefits of the program include a post-race run club village, opportunities to earn free entries, VIP experiences, special photo areas, promotional opportunities both online and during race weekend, and special curated content on training and the race experience. 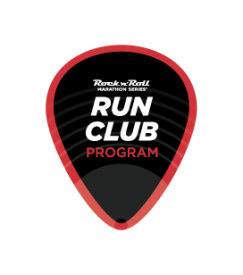 The Run Club Program will activate at all Rock ‘n’ Roll Marathon Series events in the United States where runners of all athletic levels can engage with great music in a community environment. For more information about the Run Club Program, visit www.runrocknroll.com/en/Programs/Run-Club. For more information on the Rock ‘n’ Roll Marathon Series, visit www.runrocknroll.com. Inquiries about the program may be directed to runclub@runrocknroll.com. Media may contact press@ironman.com.